The term ‘corporate social responsibility’ (CSR) is considered by the new Marxist left to be a self-defeating oxymoron. 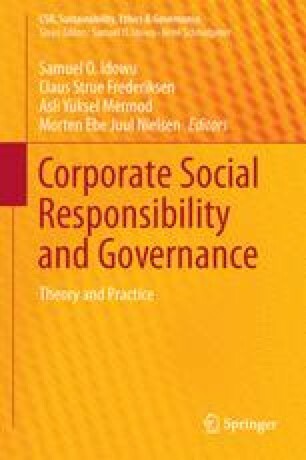 In this chapter, the new Marxist challenge to CSR as a meaningful, coherent concept and practice is discussed. In the wake of the financial crisis the critique from the Marxist-inspired left tends to replace the scepticism of the libertarian right (Friedman 1970). The legitimacy of business in society is at stake, and the critical left is well placed to debunk the integrity of business’s claim to social responsibility. To provide an overview of current Marxist inspired CSR thinking, this chapter introduces the Hegelian inspired critique of a New Spirit of Capitalism (Chiapello 2013) as well as the critique of ideology targeted at the neo-liberal project of corporate responsibility (Žižek 2008; Fleming and Jones 2013). Subsequently, two possible liberal ‘revisions’ to the Marxist inspired scepticism of CSR are presented and discussed: first, the theory of a social connection model (Young 2006), and then the theory of deliberative democracy and political CSR (Scherer and Palazzo 2011). Finally, the chapter concludes with a plea to reconsider the classical Marxist concept of exploitation. Versions of this paper has been presented at several places. I am therefore grateful to the audiences at ‘The Buck Stops Where – Responsibility in the Global Economy’ conference at University College London, on the 21th May 2014, the Eben Conference on the 14th June in Berlin, and the ‘Global Corporate Governance Institute’, First Annual Conference, 14th August at the University of Surrey. In particular I would like to thank Guido Palazzo, Steven Sampson and Kristin Saghaug for good comments.